No videos are available for this product yet. Please visit again soon. What are the customized protocols that truSculpt iD uses? 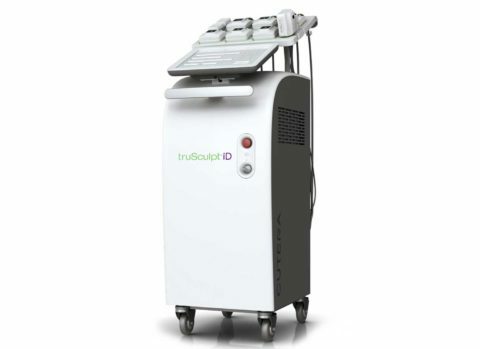 truSculpt iD provides personalized body sculpting for different parts of the body, from sculpting challenging areas, to having tailored solutions for large and small areas, and to having synchronized treatment zones. What are the individualized approaches that truSculpt iD take? truSculpt iD accommodates a solution for each patient. Solutions guarantee protocols match desired outcomes, flexible treatment configurations, and unique approaches to treat various fat densities, skin with laxities, and all skin types. How is truSculpt iD different from any other treatment? truSculpt iD lets patients achieve their best shape with confidence through an exceptional experience of minimal discomfort, no downtime, and immediate resume of normal activities. What are the handpiece options of truSculpt iD? For maximized results, truSculpt iD has comprehensive handpiece options from six hands-free 2 MHz 40 cm2, to a one hand-held 2 MHz 40 cm2, and to a one small area hand piece 1 MHz 16 cm2. How is the intuitive workstation interface designed? truSculpt iD’s sleek design is user-friendly with a short-learning curve. To allow clinicians and patients navigate and operate the device with ease, truSculpt iD works with enhanced safety for positive patient experience and controlled patient comfort.